I told her about the day I found out about the complications with my pregnancy, and subsequently, with the very precious baby kicking within me. Dear G‑d, I have a deal to make. Please. Please G‑d, I cried. Please help me leave this nightmare and take my baby home. I promise that I will handle this with a smile. I will be grateful for this gift, and I will show you, each and every day. I will show you that I can smile and laugh. Just please let my baby be okay. And at that moment, I let out a breath I had taken eight years earlier, unknowingly holding it deep within my chest and lungs all that time. At that moment, I felt I had made the home run of a lifetime. I had crossed the finish line in my own endurance race. Heartwarming. 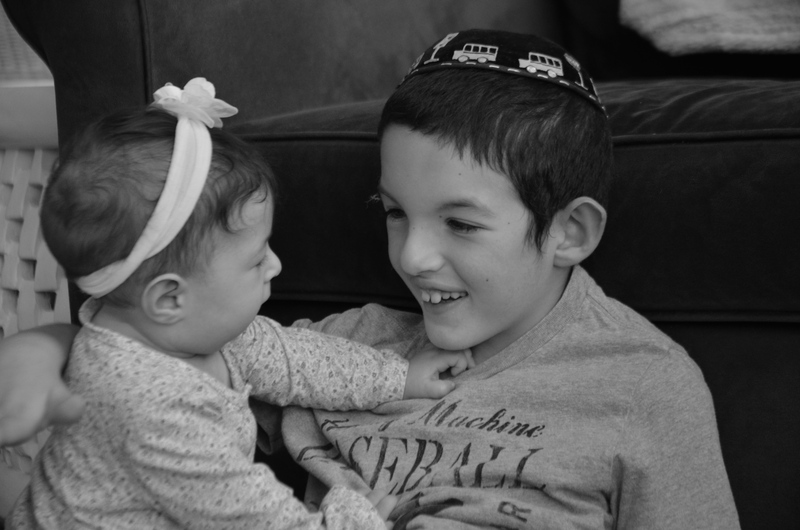 What an amazing chinuch you’ve given your kids. Amazing last paragraph; I copied it for myself.